Sorry about the few week hiatus... It's been a stressful few weeks and I don't have much of a free schedule to do pages. Not to mention that I had no idea how I was gonna make this part of the story look. But happy with the outcome. 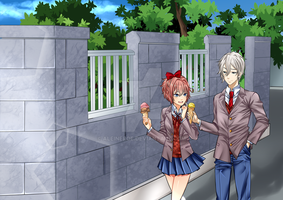 So, for those who asked, , Sayori is still here. Also thank you for the watch!